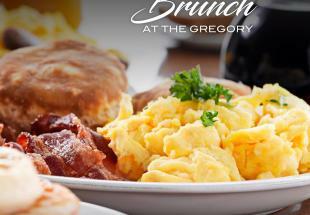 The Gregory at The Watermark Hotel is the premier destination for modern food and wine in Baton Rouge, Louisiana. Located off the lobby in the former Louisiana National Bank, our restaurant is centered between an open kitchen, and a full bar surrounded by murals painted by the artists of who the restaurant is named after, Angela Gregory. Chefs Drue Vitter and Chad Galiano design menus that utilize fresh and local produce and available organic proteins that offer twists on Southern classic in a modern farm-to-table menu As a Louisiana-native, Drue brings an influence of Southern cooking styles employing our wood-stone oven, Spanish Josper oven and cast-iron grill to elevate flavors and create one of a kind dishes in the downtown Baton Rouge area.